Over the years, Scandinavian interior design has developed towards a more minimalistic direction. Nowadays, large and heavy furniture are seldom seen in the Danish living rooms. Instead, cabinets and closets have been replaced with wall shelves. This solution provides light and space and is easy to customize to individual needs. At Kærbygård, we make your oak shelves just as you want them. You can select their length, width, and thickness – the design is all up to you. We can also give your oak shelves the surface treatment you want. Thereby, you can get a result that plays well with the rest of your interior as well as your personal style. A nice contrast to a minimalistic home could be selecting shelves with unplaned edges. By keeping the edges untreated and raw, you get a design that challenges yet matches the clean, minimalistic lines, while also bringing a little bit of nature into your home. Oak shelves can be used everywhere. Many people have opted out of installing wall mounted cupboards to create a more open and brighter kitchen. Here, a few well-placed oak shelves can provide storage and a cozy look. 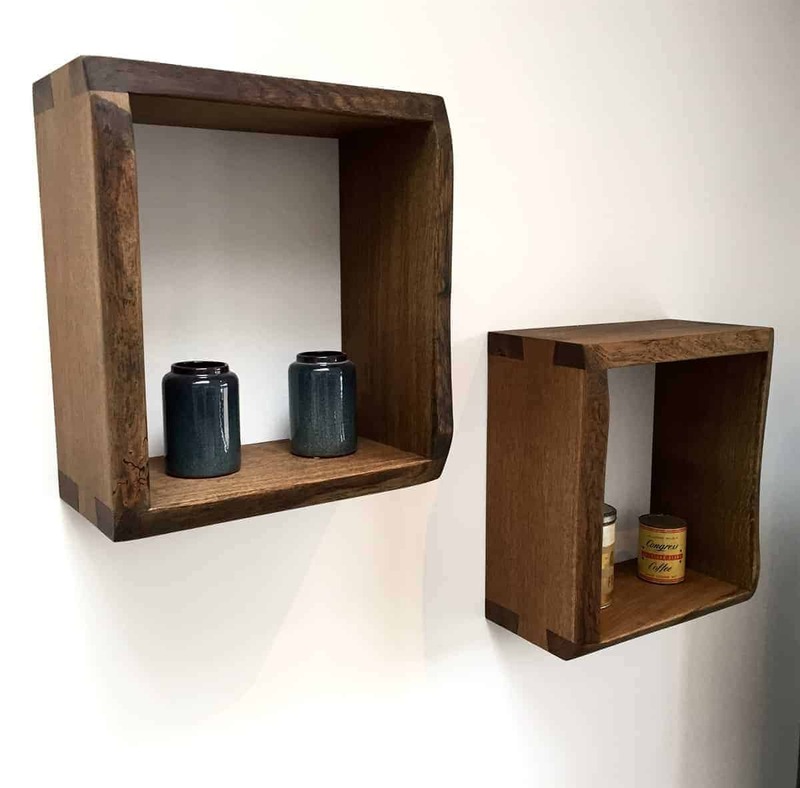 Hallways often have little space, but oak shelves can be a solution to that problem. If the hallway is narrow, cupboards and cabinets would only take up space, making the space even tighter. Shelves placed at an appropriate height would instead create a more harmonious look. It can be difficult to do without shelves in the living room. Though, in this digital age, only a few homes keep bookshelves in the living room. This means there is nowhere to place the family pictures, the holiday souvenirs, the vase with fresh flowers, or other things we want to surround ourselves with. Our oak shelves are a light and elegant solution to this problem. We can make them in the sizes you want and in the best quality available in the market.